Civic Works a non-proﬁt working to strengthen Baltimore’s neighborhoods leveraged funding from the MEA’s FY15 Low-to-Moderate Income Grant Program to reach residents not served by other government and utility energy efﬁciency programs. This focused effort on ﬁlling service gaps has resulted in improved home energy efﬁciency for 303 low- and moderate-income families in the Baltimore region in 2015, families that have also enjoyed health, safety, and ﬁnancial resilience beneﬁts through the programs. With funding from MEA, Civic Works’ Project Lightbulb program makes energy conservation visits to low-to-moderate income households located in Baltimore County, providing residents with information about reducing energy use and installing energy efﬁciency measures at no cost. Project Lightbulb trains teams of corps members, who serve approximately three months with Civic Works and receive a modest stipend and job development training. Project Lightbulb corps members work as community educators and advisors, engaging and educating low-to-moderate income residents on the energy efﬁciency beneﬁts of installing low-cost upgrades in order to participate in the program. Then, corps members install CFLs, LED lights, faucet aerators, low-ﬂow showerheads, water heater wraps and pipe insulation in the home. The program also installs energy-efﬁcient ﬁxtures and explains their use. By coupling the provision of free upgrades with resident education, Project Lightbulb ensures that residents are immediately able to begin beneﬁtting from the services. Engaging community networks and utilizing trusted messengers in the community to reach residents who typically would not implement energy efﬁciency measures enables the project to reach low-to-moderate income residents who would otherwise be left unserved. Civic Works has also been able to utilize an MEA-funded home energy upgrade and education program to perform more comprehensive measures beyond what Project Lightbulb offers. Measures such as increased insulation and weatherization can restore previously abandoned areas of the home to livability. 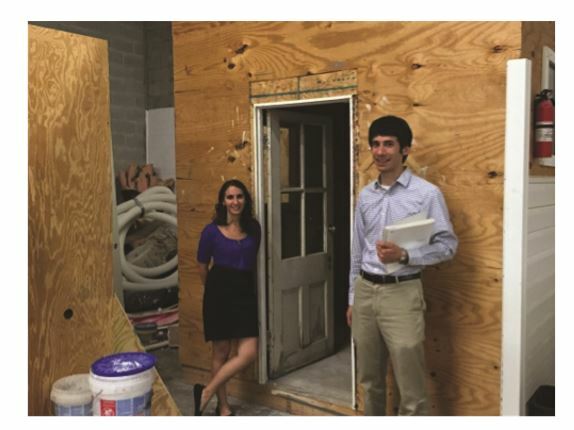 MEA’s 2015 LMI grant to Civic Works enabled home energy efﬁciency upgrades in which a certiﬁed Building Performance Institute auditor analyzed the home using diagnostic tools to recommend cost-effective upgrades. By leveraging the advantages of weatherization work, health hazards and building envelope problems can be addressed together through insulation and moisture control, thereby improving the comfort and health of a home. MEA’s 2015 LMI grant to Civic Works has helped create green career pathways out of poverty for Baltimore City residents. The three-month Energy Retroﬁt Training provides low-income residents with hands-on learning, industry-recognized certiﬁcations and essential skills. The grant also allows Civic Works to provide participants with 320 hours of on-the-job training in completing whole house air sealing and insulation projects–work experience that is valued by employers. Since 2003, Civic Works’ Baltimore Center for Green Careers has maintained an average job placement rate of 85%. Through the combined efforts of Civic Works and MEA, the quest for energy efﬁciency is beneﬁting Baltimore communities in increased home comfort, lower bills, green jobs–and energy savings. The MEA LMI Grant Program has been supporting projects that improve the energy performance of Maryland’s low to moderate income housing since 2010. To learn about the next cycle of the grant program, visit energy.maryland.gov.